Your furry family members rely on you to care for their health needs. 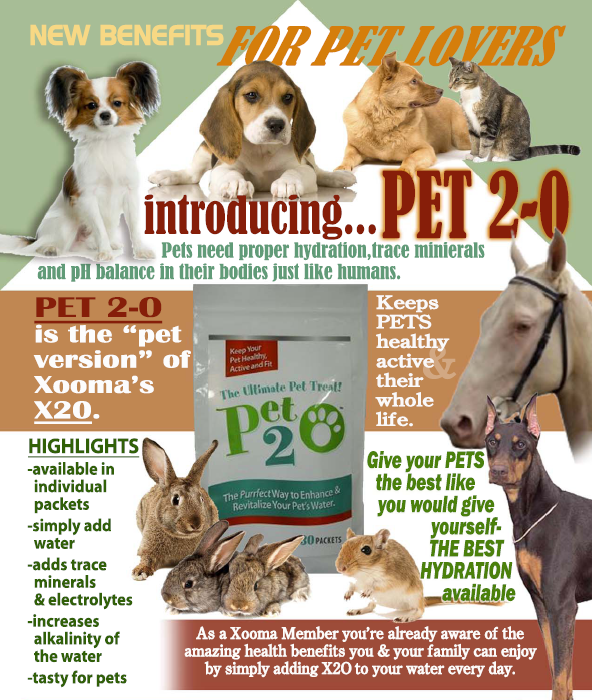 Just like X2O does for people, Pet2O packets transform your pet's water by allowing for improved hydration, adding essential trace minerals & electrolytes and increasing the alkalinity of the water they drink. This "pet grade" version of X2O costs less to manufacture which allows us to pass the extra savings on to you. Transform the quality of your pet's water and support their good health. Discover the difference Pet2O treated water can make for your pet. *The statements on these products have not been evaluated by the U.S. Food and Drug Administration. 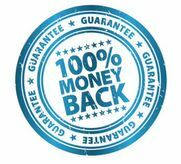 These products are not intended to diagnose, treat, cures or prevent any disease.